SLEEVE DESIGN Photographer: Richard Israel. 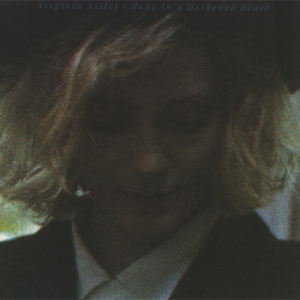 'Some Small Hope' features a duet between Virginia and David Sylvian. This track was also issued as a single. 'Tree Top Club' had featured in live performances since 1984. A demo version of the track also appeared on the 1984 compilation cassette Dreams And Desires. Love's A Lonely Place To Be is a remixed version of the single released in 1983. 'A Summer Long Since Passed' is a 1986 re-recording of the track originally featured as the B-Side to the 12" release of the single 'Love's A Lonely Place To Be' and also on the 1983 album From Gardens Where We Feel Secure. 'Darkness Has Reached Its End' was previously released as a single in November 1985. The children on backing vocals are three of Virginia's nieces: Aminta Townshend, Zelda & Layla Astley. The six Sakomoto produced tracks were recorded in 19 days at Tears For Fears' Woolhall Studios. The use of previously released material had been the suggestion of WEA's Rob Dicken. 'A Summer Long Since Passed' was titled 'A Summer Long Since Past' when it appeared on the album From Gardens Where We Feel Secure.